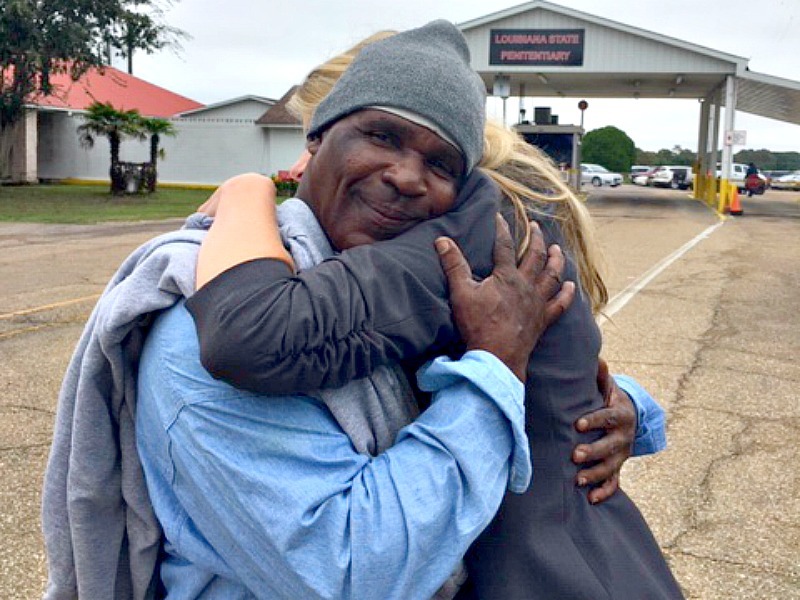 Barry Williams, out on parole after 41 years behind bars, hugs his attorney, Tulane Criminal Justice Clinic Director Katherine Mattes after leaving prison. In October, clinic student attorneys Colin Fitzpatrick and Ryan Niedermair, both in their third year of law school, argued before the state parole board about Williams' rehabilitation. The board agreed to Williams’ release – but the process of leaving a state penitentiary takes weeks.